Login here to see Exclusive Member Offer! Why? YOUR WORLD. YOUR TOOLS. CONNECTED. Sending a comprehensive report to a supervisor’s or customer’s mobile phone… Analyzing and reporting from the ﬁeld without having to go back to the ofﬁce… Multiple tools that report to you simultaneously… This is the world of SmartView ® Mobile app and CNX™ Wireless System. Available only from Fluke—where your results matter. 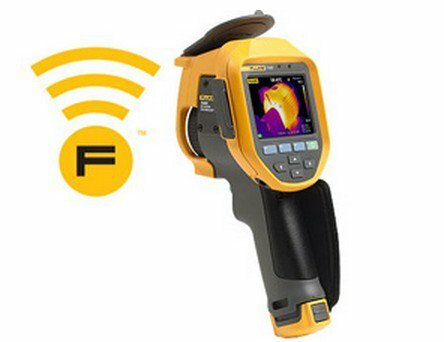 FOCUS is the single most important thing to ensure when conducting an INFRARED INSPECTION. Without an in-focus image, temperature measurements may not be as accurate (sometimes as much as 20 degrees off) and you could miss a problem. 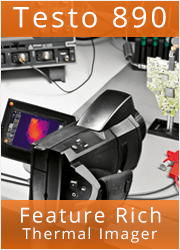 Fluke provides customers with two superior focusing solutions—LaserSharp ™ Auto Focus (see page 5) and IR-OptiFlex ™ Focus System (see page 7) and still gives you the ﬂexibility of using manual if you wish. 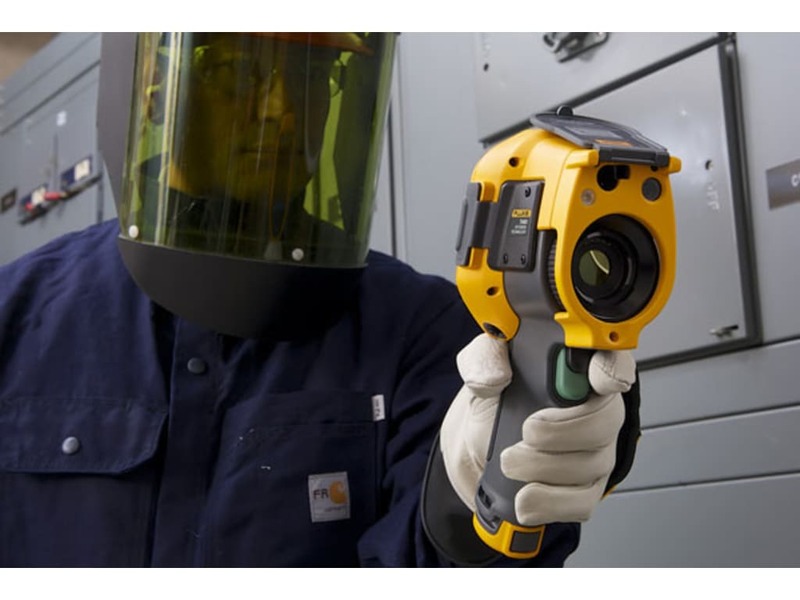 Fluke LaserSharp ™ Auto Focus clearly captures what you want to inspect. Every. Single. Time. The red dot from the laser conﬁrms what the camera is focusing on. The Fluke Ti200 is equipped with LaserSharp® Auto Focus for consistently in-focus images. Every. Single. Time. Every IR camera user knows that focus is the single most important thing to ensure when conducting an infrared inspection. Without an in-focus image temperature measurements may not be accurate, sometimes off by as much as 20 degrees, so it's much easier to miss a problem. LaserSharp® Auto Focus tells you exactly where you are focusing. 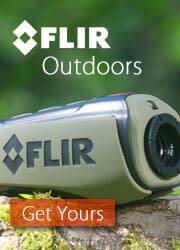 It uses a laser to calculate the distance to your target before it focuses. Place the red laser dot on the equipment you are inspecting, then pull and release the trigger for a perfect in-focus image. 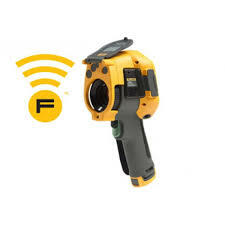 Fluke Connect™ is the only wireless test and measurement system that lets you stay in contact with your team without leaving the field. 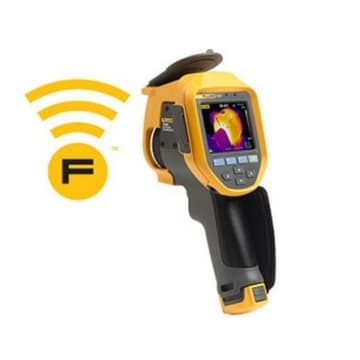 Keep your facility up and running with Fluke Connect™ ShareLive video call and communicate critical data and get answers and additional work approvals instantly without leaving the inspection site. Get started saving time and increasing productivity now with Fluke Connect. 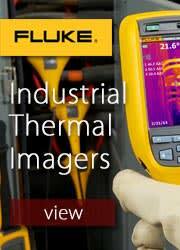 Fluke Infrared Cameras Experience. Performance. Confidence. 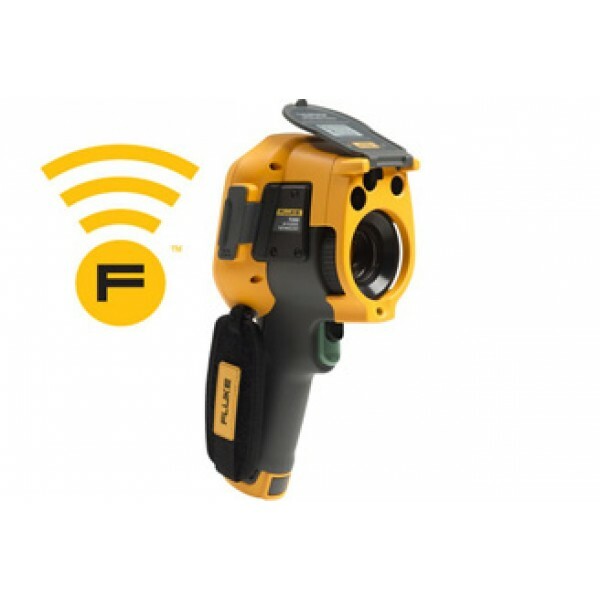 Quickly capture an in-focus image with the pull of a trigger and wirelessly share measurements with your team anytime, anywhere with the Fluke Connect TM ShareLive TM video call. Save Reporting Time. Make better decisions faster than before. Organize your measurements by asset in one location with EquipmentLog TM history. Brilliantly detailed quality images. Pixel for pixel the best spatial resolution available. 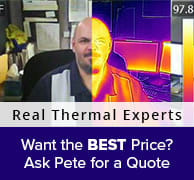 Precisely blended visual and infrared images with crucial details to assist in identifying potential problems. Field of View What's This? IR/Overlay Fusion Image What's This? IR Digital Zoom What's This? Detect and communicate issues faster with patented Fluke IR-Fusion® technology with AutoBlend™ mode. Faster communication with wireless image transfer directly to your PC, Apple® iPhone® or iPad®. Capture up to 5 additional measurements with the CNX™ Wireless System*. Ruggedized high resolution 640x480 capacitive touch screen for quick menu navigation. 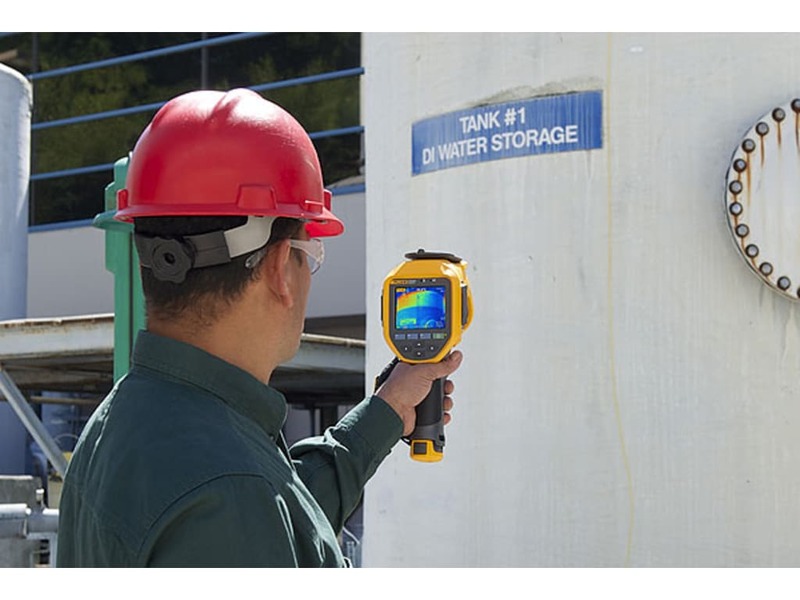 Capture additional digital images to show location or additional site details with IR-PhotoNotes™ Annotation System. More advanced display output options to get the details via streaming video to PC or high definition monitor (USB and HDMI). Voice recording and annotation gets additional details saved with the image file. Optional interchangeable lenses for greater flexibility in additional applications. Rechargeable, field replaceable smart batteries with LED display to show charge levels for excellent field flexibility. High-temperature measurement up to 1200 °C. Two-bay ac battery charger (110 V ac to 220 V ac, 50/60 Hz) (included), or in-imager charging. AC mains adapters included. Optional 12 V automotive charging adapter. AC operation with included power supply (110 V ac to 220 V ac, 50/60 Hz). AC mains adapters included. Give our sales team a call at 877.571.7903 (Toll Free) or 732.222.1511 (International) and we'll match any competitor's price.